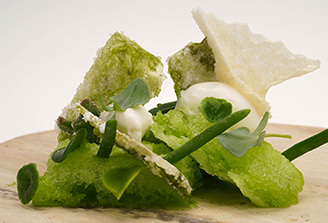 Chef Nacho Manzano comes from Asturias, a region in the North of Spain which has one of the strongest cuisines in Spain. A mountainous region by the sea. 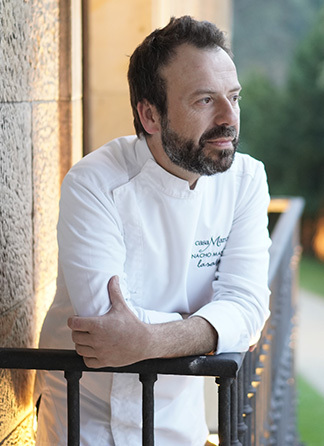 Creative chef, who began his profession at the early age of 15 at Casa Victor Restaurant in Gijón. 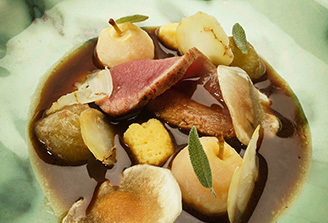 At the age of 22, he took on the responsibility of managing his own Restaurant, “Casa Marcial”, his parents' former bar and has earned Chef Mazano his reputation as a world-renowned culinary expert. Chef Manzano has access to a wealth of produces, from the best meat, game, vegetables and dairy products from the land to the finest fish and seafood from the sea. 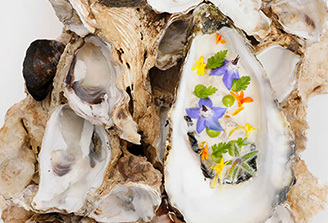 Working with local producers while using the most Avant Garde technique, Chef Manzano has single handily evolved and modernized the cuisine of Asturias. 2013　Best Chef Millesime gastronomic award, 2013. 1999　Casa Marcial was granted 1st prestigious “Michelin Star”.